Chapter 3 of the Gospel of John begins with a fascinating dialog between Jesus and one of the religious leaders named Nicodemus. The entire dialog goes from verse 1 to verse 21, but I will split this up into three Bible study articles. There are surprises in store for both Nicodemus and Jesus in this encounter as we will see. Throughout the dialog, there are some very important themes raised, such as light vs. darkness, regeneration (or the “new birth”), earthly things vs. spiritual things, and the Jewish concept of Rabbi or “Teacher”. I hope to touch on all of these themes in my three articles. But first, to give us some context to this story, we must take a close look at who is this man, Nicodemus. Some Pharisees were priests, but many were lay people. They were the party of the common people, in contrast to the Sadducees who were from the rich “upper class”. The leaders of the Pharisees were scribes, but most Pharisees were not trained as scribes; they were ordinary traders and workers. Now although not all received formal training like the Scribes, most all of them would have received great quantities of informal oral training by literally sitting at the feet of older Pharisees who passed on the traditions of Judaism and their interpretations of the Old Testament scriptures. In fact, to be a Rabbi, one had to have studied under other well recognized Pharisees. Nicodemus though, is not just any average Pharisee; for John writes that he was “a ruler of the Jews”. He is one of the top leaders of this religious group, very possibly a scribe and perhaps even a member of the Jewish ruling Council, the Sanhedrin. And yet, notice how he comes to Jesus and approaches him. We note that Nicodemus came to Jesus at night, and that he has great respect for him since he addressed Jesus as “Rabbi”. This is quite surprising, seeing as the Pharisees would already have learned that Jesus had not been trained within the Pharisaical order. Therefore, many scholars think that he came to Jesus during the night partly out of fear of being found out. So we have a prominent religious leader meeting secretly with Jesus to discuss spiritual matters of great importance. We learn from verse 2 that Nicodemus has seen (or at least heard about) some of the miracles that Jesus had performed in Jerusalem, and he states his belief that only a man who has been sent by God could perform such mighty acts. Then in the next two verses, we see that Nicodemus and Jesus are definitely not on the same page together. Jesus mentions “entering the Kingdom of God”, a very important topic to the Pharisees. But Jesus says that a man must be “born again” to be able to enter in. Nicodemus’ answer shows he lacks the ability to comprehend this statement by asking Jesus how it could ever be possible to re-enter a mother’s womb to be reborn. Jesus goes on to tell us that there are two realities, the things that pertain to this life and this world (i.e. “the things of the flesh”), and there are things that pertain to spiritual life and the eternal realm (i.e. “the things of the Spirit). Another way of looking at this is that the “flesh” deals with the physical and the external practices (which the Pharisees were so stuck on in their ritualism), while the “Spirit” deals with the spiritual and inner person. Jesus is surprised that Nicodemus is surprised at this teaching. 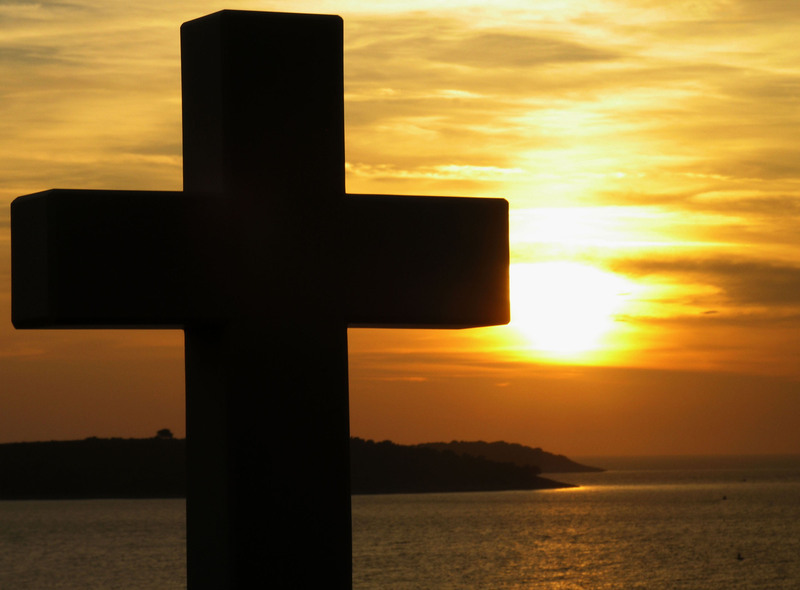 Then Jesus ends this first part of the dialog by stating that while we cannot see a person become spiritually renewed, just like the wind, we can see the effects of a life that has been transformed and become brand new, or reborn as Jesus would say. Let me ask you who read this article: does this all make sense to you? Or are you feeling lost just like Nicodemus was? Christianity is not a set of rules or regulations to be kept (as the Pharisees believed), but rather it is a relationship between God, who is Spirit, and us, who are also spiritual beings. Being reborn in our inner self is our “entry ticket” into Heaven. 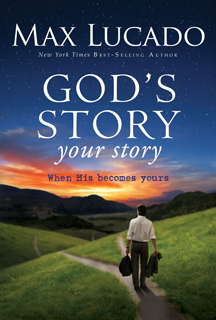 As mentioned two weeks ago, at the end of Max Lucado’s book, “GOD’S STORY, your story“, there are study questions and activities to consider that relate to each chapter. I invite you to read the book, and look over the entire question and application section. In my articles, I will usually only pick up on two or three questions and relate them to my own experiences. Chapter 2: When God’s Story Becomes Yours…. Question #1: This chapter talks about the distractions of “possessions and problems.” Share with the group the distractions you seem to encounter most — distractions that keep you from engaging the story of God in Scripture. 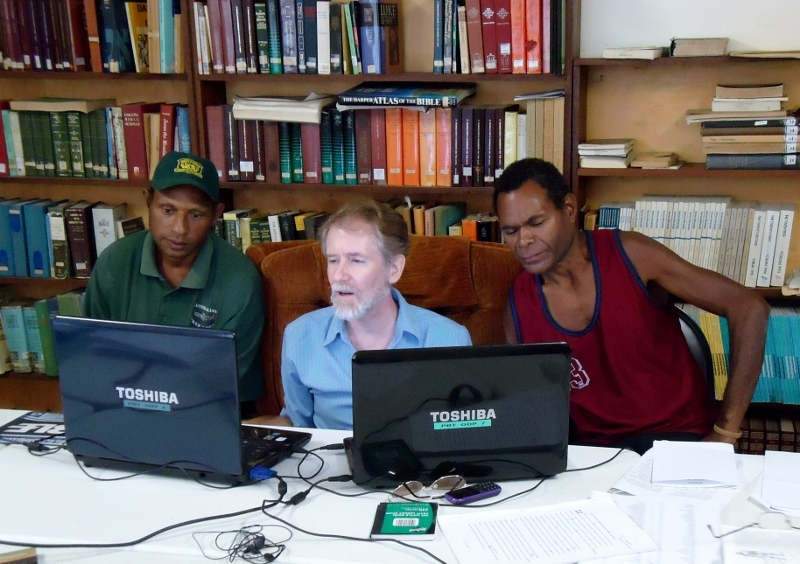 Most people know that the ministry work I do is Bible translation. Our family lived out in a remote village in Papua New Guinea for five years. During that time, I learned the language and culture of the people, and helped to get the Gospel of Mark translated into their language. Thankfully, I had a basic word list, a grammar paper of the language and some notes on Mark from the man who had started the language project years before we got there. In light of all the resources I had, it still surprises some people at how long it still took us to finally finish and translate Mark. The reason is that there is so much more involved than just doing translation when you live out in these remote villages. The translator before me also built the house we lived in out of hewn and planed timbers from trees in the jungle. That was nice, but the upkeep seemed to be never ending. In those five years, I also learned to become a carpenter, a plumber, an electrician, a small engine mechanic, and much more. I found then that this nice home out in the jungle often became a distraction from what I had come to PNG to do, to give God’s Word to the people who had never had the Bible in their language before. But I know I spent a lot of time making sure that our own family was safe and secure and comfortable, while all around me the national people were living in small huts made out of jungle material that usually fell down in about five years. I would not call this a direct scheme of the Devil, but I do have to be honest that my “mansion” was a barrier between me and the people. Question #2: What kind of personal attacks does the Enemy plot? How does he attempt to divide people? Have you seen the Devil at work? Do you tend to underestimate or overestimate the Devil’s activity? Let me continue now to give some other background to our life in the village that shows how Satan has been (and still is in places) very active in dividing the people and attacking them with lies that destroy people’s lives. One legend that is popular in PNG is the creation story. In this story there are two brothers who either through their positive creative energies, or through their negative battles for supremacy, created the spark of life and the world came into existence. The story continues with the elder brother leaving the younger brother on this island called PNG. The older brother was going to go out into the world and discover all the riches and treasures and wisdom that the world contained, while the younger brother was left behind with nothing. But the legend says that one day the older brother would come back and be reunited with the younger brother and share all the goods (called cargo) and the secrets to obtaining them. Interestingly, some of the PNG legends end by saying that the older brother, when he came back, was a white-skinned man. So…imagine what some of the people in the villages around us thought when the translator before me was going to come back after being away for almost ten years and join me in a “return celebration”. Word went out, and immediately the legend rumours were ignited and it was thought that this other translator and I were finally going to tell the secret to get the “cargo” or material possessions of this world. What’s sad is to realize that many of these people who live in this remote area have seen many “rich white people” come with huge amounts of clothing, food, amazing gadgets and objects with them. And we never seem to “work” for what we have. (Sitting at a desk over a laptop all day is work??) And they never see us use money out in the bush. We would just ask over our two-way radio for more goods and supplies, and presto, there they were on the next plane. No wonder they thought we knew the right “magic”. The end result from our big “celebration day” is that we had a wonderful reunion with our friend who came out to our village. But none of the villagers received this magic cargo from the skies. And this produced such heated arguments that it almost started an inter-tribal war. Thankfully, I had been told what was going on, and I was able to hold an all-evening teaching/preaching time of explaining that these pursuits for material wealth do not come from God. These evil desires come from Satan. That is what we need to remember most. The material objects themselves are not evil, but in Satan’s hands they become so if our focus is twisted to be only pursuing after them, instead of pursuing after a better relationship with our God. How easy it is to let the things of this world distract us from seeking after our God. Our true enemy in all of this is Satan. There are quite a few steps involved in getting the Bible translated into another language. In between making a rough draft translation and the publication of Scripture are quite a few levels of checking and revising that are needed to be done. As we work with the people who are native speakers of the language, misunderstandings and mistakes can be made. For this very reason, we must sit down with the national translators and go over the text verse-by-verse. In this checking process, some rather strange and funny translation stories can emerge. 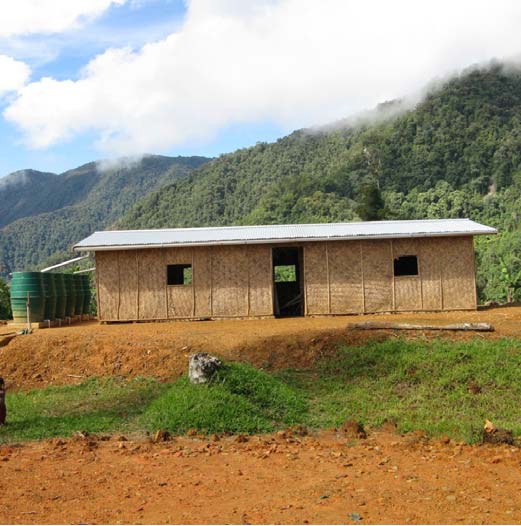 Below is one account by one of my colleagues in Papua New Guinea. She was working through the story of the beheading of John the Baptist in the book of Matthew. “This is just a general term for cutting. Can we use the special term that we have for cutting around the base of the skull to remove the head?” asked the national translator of the project. I thought about it for a second and didn’t see any major problem with using their special term for the decapitation of John the Baptist – it would definitely make it more vivid. After I gave a slightly hesitant “yes” answer, he went on to explain that their ancestors along with the folks from a neighboring language group used to go up the Ramu River on regular raids taking captives and collecting heads. I had heard about the reputation of this group from another source, but I didn’t realize that the raiding included head-hunting. I think the national translator was a bit tickled by my obvious discomfort. When I questioned them some more, they assured me that the head-hunting had all ended before World War II. They had just grown up hearing all of the stories and enjoying the notoriety that this had given to their language group. For over four weeks, the translation team and I were cloistered away in the conference room during the work week as we worked our way verse by verse through the book of Matthew. On the days in which we ran into major problems and only completed 20 verses, I despaired of ever getting done, but then there were days when we were able to complete 2 chapters. In the process we found lots of “bloopers” both big and small. Here is one of my favorite ones. When we reached Mat 5.29 — “If someone strikes you on the right cheek, turn to him the other also,” — I asked the checkers to demonstrate the verse and they got it right, but they really struggled and kept saying that something was wrong with the translation. Finally, one of the checkers was able to identify the “turn” verb as the source of the problem and the national translator started laughing when he understood the problem. He then demonstrated by doing a pirouette and said that the person was hit on one side of his face and then did a pirouette and was hit on the other side. Somehow I don’t think the pirouette was part of the original story, though I could imagine Jesus laughing at this version of the story. Praise God with me that this translation project is now one book closer to having the entire NT checked. This past month, I have had the privilege to do the Advisor Check with a different group of national translators on their translation of the book of John. We too spent hour after hour for four weeks looking at the text. We would start at the verse level, then go to the sentence level and phrase level, and then even look intently at individual words and terms. Things were moving along in our checking, and then something really funny happened. We had already dealt many times with the special term “the Jews”. In John’s Gospel, about half the time this term does refer to the people of the nation, and so we would translate it as “the Juda people”. But the other half of the time, John uses the term to refer to the Jewish authorities. To handle this in the pidgin trade language, I had said that this could be translated as “the big men of Juda” or the “head men of Juda”. Well, at one point the team had thought I had doubled this up and had said, “the big head men of Juda”. They hadn’t said anything for a few days, but on one day, one of the men thought about this term and burst out laughing. When he said that, he put his hands about two feet apart, and then the humour of the joke hit me. If we doubled up the expression with both “big” and “head”, then they would be “big-headed men” and it would conjure up the idea of men walking around with heads the size of large pumpkins. Needless to say, we changed the translation to say, “the head men of Juda”. Even though the Jewish authorities were the enemies of Jesus, we did not want people to think that they were stranger than they already were. And thankfully the national translator caught this one. That’s why we do all the checking that we do.